30 tear drop beads in a pearly matte. 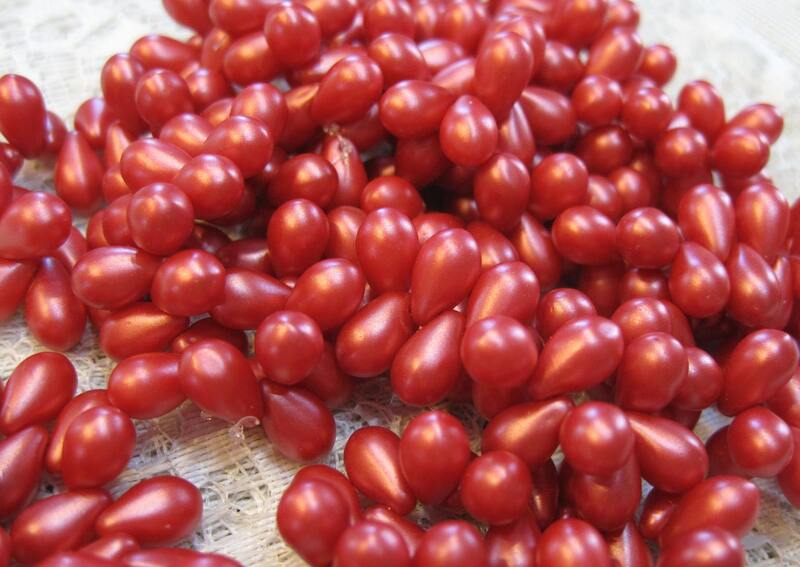 These beads are a fuchsia or perhaps a dark coral pink color! Czech pressed glass teardrop beads. Beads are top drilled and measure 9mm.